« Where is the harm in work? Should academics strive to be ‘fast’ or ‘slow’? 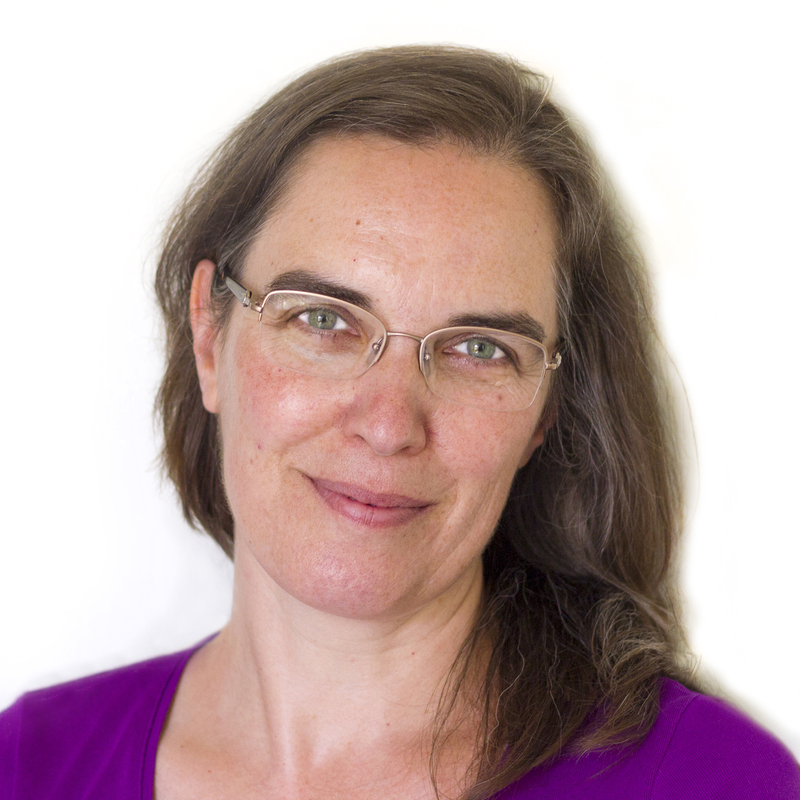 Helen Kara, author of Research and evaluation for busy students and practitioners, argues that there is not one, clear answer. In recent years there has been an increasingly heated debate, in the blogosphere and elsewhere, about whether academia is – or should be – ‘fast’ or ‘slow’. This is linked to other discourses about speed such as Slow Food and Slow Cities. Some commentators aver that the pace of life in academia is speeding up because of managerialism, the REF and its equivalents in other countries, and the ensuing pressure to conduct and publish interesting research with significant results. All of this, in addition to the increasing casualisation of employment in academia, and the increasing speed of digital communication, has led to toxic working conditions that cause academics to have breakdowns and burn out. This doesn’t only affect academics, but also non-academics doing academic work such as undergraduate and postgraduate degrees. Also, to some academics’ surprise, this doesn’t only apply in academia, but also in the public sector more widely, and parts of the private sector too. Perhaps this is because, as the saying goes, the speed of change is faster than it’s ever been before, yet it will never be this slow again. In 2006 US Professor Brian Treanor, finding that he didn’t have enough time to sleep let alone indulge in leisure activities, wrote a manifesto for a slow university. His suggestion was to schedule in ‘slow hours’, which would not be used for tasks such as writing or grading papers, but would be spent in informal discussion with students, colleagues, and friends. Treanor’s manifesto didn’t work out too well. He was only able to persuade one colleague to join in, and found that individual factors, such as professional ambition and the desire for praise from others, got in the way. But he did help to fertilise the international debate about slow academia, which has a range of seminars in Europe, a book from the US called The Slow Professor, and a forthcoming conference in Ottawa, Canada. Some people are incensed at the idea of slow academia. Their view is that slow equals privileged; that it is only tenured professors (and probably white male ones at that, or at least those who are either white or male) who can have the luxury of slowing down to reflect, cogitate, or consider. I only agree with this up to a point. While we can’t always choose or change our circumstances, many of us have more choice than we realise. Next time you find yourself saying, or thinking, ‘I have to…’ – whatever it is, stop yourself for a moment, and figure out whether it’s really an imperative or whether it’s actually a choice. Often we tell ourselves we have to do X or Y when, truly, we don’t: we don’t have to watch the next episode of a current favourite TV series, we don’t have to eat all of the ice-cream in the half-litre carton, we don’t have to post on social media several times a day. These are all choices, but when they become habits, or are motivated by strong emotion, they don’t always feel like choices. Then we have to do the hard intellectual work of figuring out that they are choices and deciding whether they are still choices we want to make. Also, fast isn’t always bad, even in research. Using referencing and data analysis software, to speed up laborious tasks, is a no-brainer. Reading the section in a textbook on what each chapter covers, to figure out which chapters you actually need to read, makes much more sense than reading the whole book without thinking it through. These are among the many fast working techniques available to researchers. But then there are times when you need to work slowly, to absorb and digest and think about the implications for your own work. The art is in deciding when to work fast and when to work slow, and this is where my book Research and Evaluation for Busy Students and Practitioners: A Time-Saving Guide (2nd edition out 26th April!) can help. The book tells you where you can and can’t take short cuts. For example, if your research question suggests that focus groups would be useful, rather than trying to set up a one-off group from scratch, look around for existing groups you could ask for input. So, if your research concerns young people, there might be a youth club you could approach; if you are interested in health and fitness, there might be a sports centre you could contact; and so on. On the other hand, when you reach the stage of coding and analysing data, there are few short cuts; at that stage you need to be meticulous and thorough. There are many other examples in my book. However, no book can give you all the answers. If the pace of your academic life or work seems too fast, think: is there anything you can do to slow things down? Can you say ‘no’ more often? Where are the small pauses that you could exploit or expand? Alternatively, if the pace of your academic life or work seems too slow – yes, it can happen! – think about what you can join, read, write, or organise, that will help to give your career a boost. However fast the pace of your life or work, there is always time to think: in the shower, when you’re doing routine tasks, while standing in a queue. It can be well worth taking some time, now and again, to step back and think about the pace of your work and how best to manage that. Time invested in such thinking will pay huge dividends in quality of life. 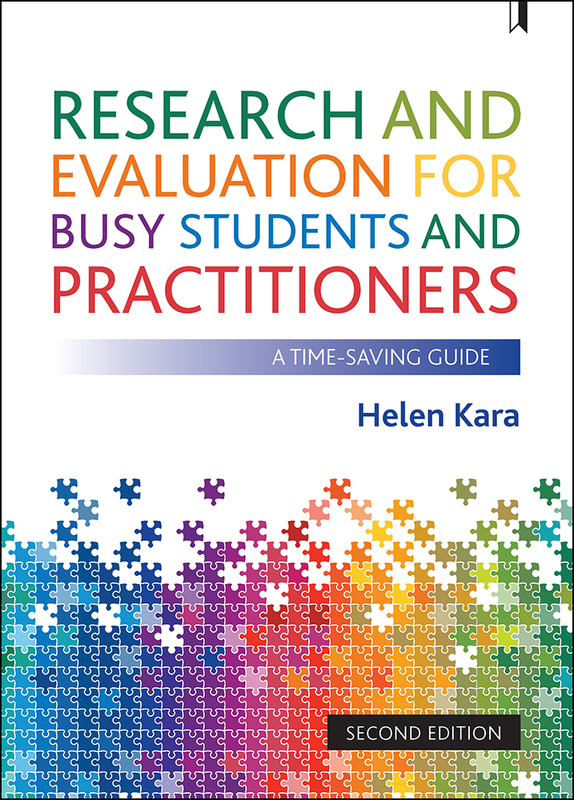 Research and evaluation for busy students and practitioners by Helen Kara can be ordered here for £19.19.